Five years ago, Amanda and Kevin met at Notre Dame and fell in love. 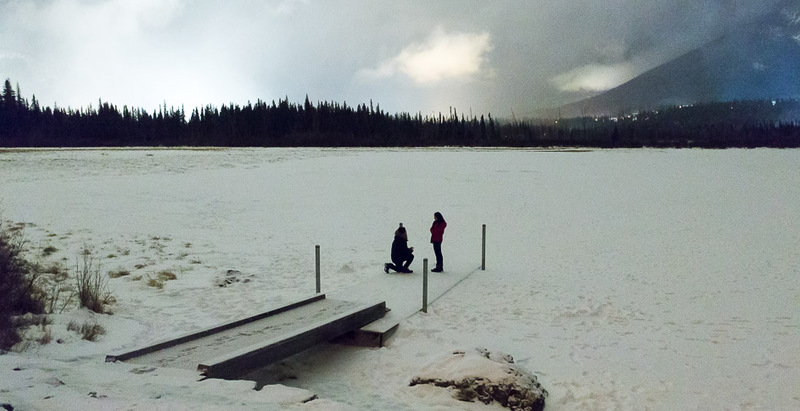 Amanda and Kevin traveled to Banff National Park, Canada, to celebrate the New Year. Amanda and Kevin drove to Vermillion Lakes to watch the fireworks at midnight over the town of Banff. She asked him what his New Year's resolutions were and he responded, "to love you for the rest of my life." He then got down on one knee and asked the question.